He brings his side to the Turf just one place below us and certainly in good form away from home having just won at Brighton to take their current run to five successive wins, but he knows how things can change quickly. He said: "Look at Brighton, I think it's six games or so without a win for them. In that time, we have won four games and picked up 12 points and closed the gap on them. We've made up eight or so points on them and that's how quickly things can change in this league. "Yes, it's nice having that four point gap on the others below but it doesn't mean anything. It's always where we are in May that will count." "We finished 2015 on a high with the wins against QPR and Brighton and it would be great to start the new year in the same way but that's a big ask. Burnley have got some very good players and you'd expect them to be there or thereabouts come the end of the season. "They beat us at Portman Road the year they went up. Arfield got the only goal. There was nothing in that game. It was a proper match but they carried on from there and deservedly went up. "We know it will be a big test for us but we are playing well and they will be aware we have won five on the bounce." 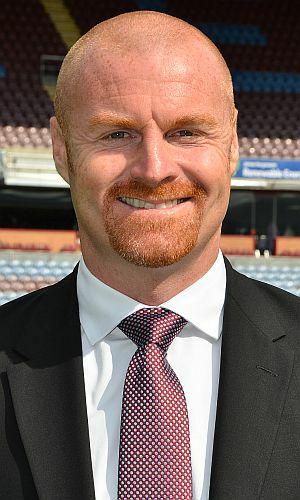 Dyche also believes it will be a tough game. "It's a big challenge because they're a good side and I like Mick a lot," he said. "He's very honest, calls it how it is and his sides are always awkward to play against, but you could say that about virtually all of the Championship. "We're looking forward to it, we're certainly enjoying our home form and how we're going about it. I've been pleased our form recently and six points out of the last three games is a nice return from the festive period." He added: "Mick's teams in my experience are always organised and they challenge you. They don't lie down, but we think we don't either, so it makes for a really good Championship game and two clubs vying to be up there."